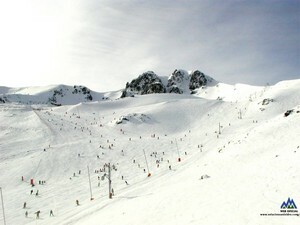 San-Isidro, in Spain, is a large resort with 16 lifts (4 chair lifts, 12 surface lifts) that offers skiers a respectable 520 metres (1705 feet) of vertical descent. 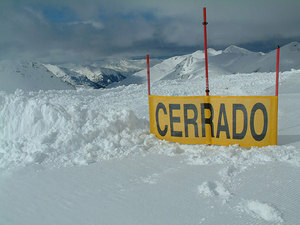 San-Isidro has acres of terrain over 27 pistes with a total length of 25 kilometers (16 miles). 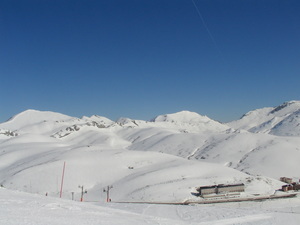 San-Isidro is best suited to beginner skiers and snowboarders but there is some terrain for both expert and intermediates. There are 5 kilometers (3.1 miles) of cross country ski trails at San-Isidro. For snowboarders, there is a terrain park. The nearest airport is at Oviedo and the nearest train station to San-Isidro is at Puebla de Lillo.